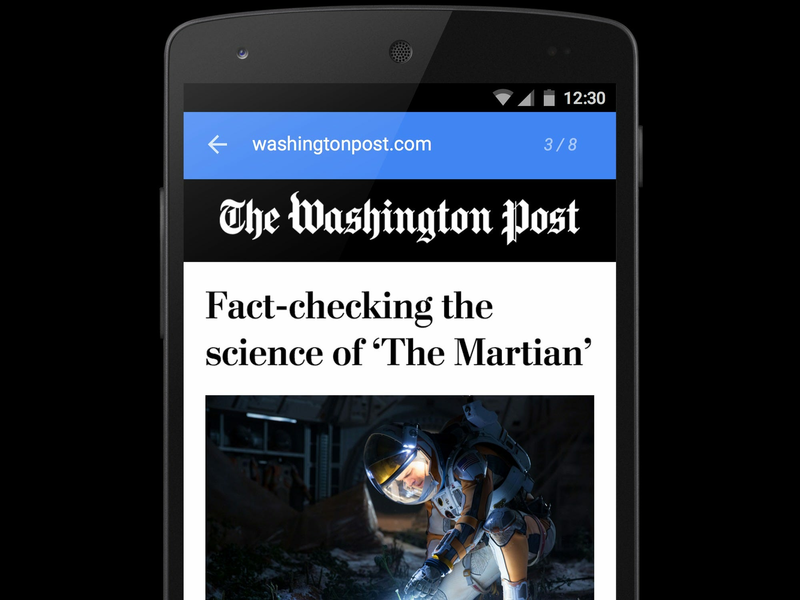 The new open source project is called Accelerated Mobile Pages. It's basically a new kind of open source HTML code framework that Google is asking publishers and developers to adopt into their websites and apps. It could become as important for the mobile web as when website owners adopted "responsive design," which automatically re-sizes web pages to fit users' mobile screens — rather than just letting users navigate not-fit-for-purpose desktop sites, which tend to have text that's unreadable on mobile and buttons too small to press. Here's a visualization from Nuzzel showing how quickly a New York Times mobile web page might load using AMP. Several big name publishers and tech companies are already on board, including Twitter, Pinterest, LinkedIn, Adobe, Wordpress, The Guardian. The Wall Street Journal, The Washington Post, Vox, Parse.ly, and The New York Times. If you're viewing this article on mobile, you can trial an AMP demo here. Google Search will also look a bit different too. 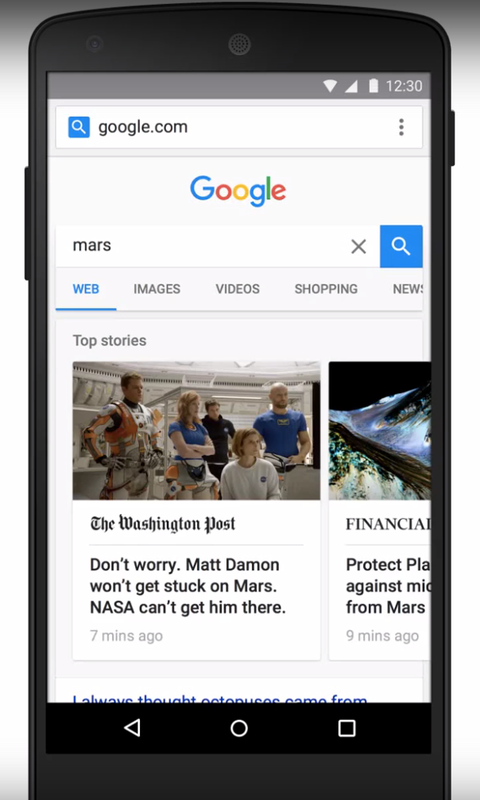 Not only will participating publishers' web pages load quicker from search, but people searching on mobile for topics in the news will also see a new "Top stories" carousel, complete with articles and images they can swipe through. In a blog post, Google's vice president of engineering for search, David Besbris, said the mobile web experience "can often leave a lot to be desired." Lengthy page load times can lead to publishers losing readers and revenue, according to Besbris. "We hope the open nature of Accelerated Mobile Pages will protect the free flow of information by ensuring the mobile web works better and faster for everyone, everywhere," Besbris said. The initial specification for the AMP Project has been released on GitHub today. The project has not yet launched, with rollout expected early next year. The first version of the specifications focuses on basic pages that include photos, animations, and "smart ads," which take less time to load. The announcement followed conversations with members of the Digital News Initiative Google launched with European publishers back in April. That project was designed to demonstrate "new thinking in digital journalism." Over time, Google says it hopes to work with other partners to build out more features and functionality within AMP. Those wishing to partner can apply here. Google says no commercial transaction takes place between partners and it's not aiming to collect reams of audience data from publishers, but that the project simply aims to improve the mobile web experience. Content: Publishers increasingly rely on rich content like image carousels, maps, social plug-ins, data visualizations and videos to make their stories more interactive and stand out. They also need to implement ads and analytics in order to monetize the content and to understand what their readers like and dislike. The Accelerated Mobile Pages Project provides an open source approach, allowing publishers to focus on producing great content, while relying on the shared components for high performance and great user experience. The initial technical specification—developed with input and code from our partners in the publishing and technology sectors—is being released today on Github. Distribution: Publishers want people to enjoy the great journalism they create anywhere and everywhere, so stories or content produced in Spain can be served in an instant across the globe in say Chile. That means that distribution across all kinds of devices and platforms is crucial. So as part of this effort we've designed a new approach to caching that allows the publisher to continue to host their content while allowing for efficient distribution through Google's high performance global cache. We intend to open our cache servers to be used by anyone free of charge. Advertising: Ads help fund free services and content on the web. With Accelerated Mobile Pages, we want to support a comprehensive range of ad formats, ad networks and technologies. Any sites using AMP HTML will retain their choice of ad networks, as well as any formats that don't detract from the user experience. It's also a core goal of the project to support subscriptions and paywalls. We'll work with publishers and those in the industry to help define the parameters of an ad experience that still provides the speed we're striving for with AMP. What does this all mean? And what's in it for Google? The AMP announcement might sound quite familiar. It's a similar sell to the recent launch of Apple News and Facebook Instant: partner with us and we will improve the mobile content experience by reducing page load times and helping you out with distribution. That's important. Publishers have voiced concerns about ceding over control of their audience and their data to tech companies. The chief marketing officer of the UK's biggest newspaper publisher News UK last year compared Facebook Instant to a "tax on navigation" and a "tax on audience." 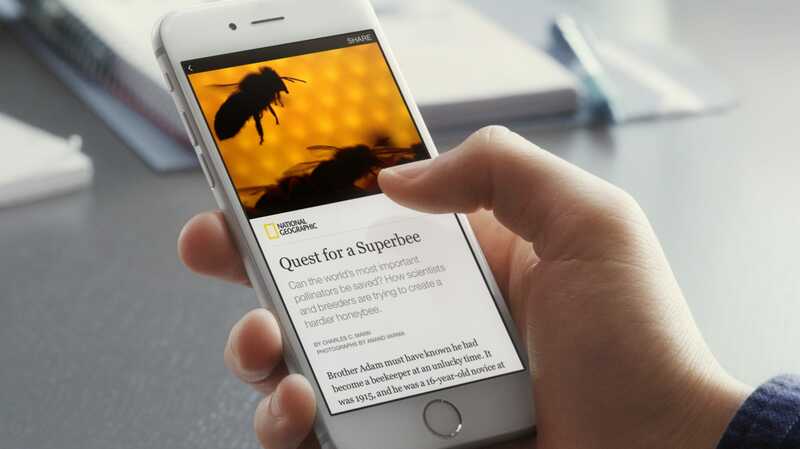 Nevertheless, dozens of big name publishers have signed up to both Facebook Instant and Apple News. GoogleGoogle will be hoping its open approach will ultimately boost its ad revenue too. Unlike Apple and Facebook's offerings, where the tech companies are trying to control the ad experience in their own apps, with AMP HTML, publishers will retain their choice of ad tech and analytics partners (although those partners will also need to adhere to AMP standards.) Google's DoubleClick is the dominant ad server — with 69% of the market, according to BI Intelligence — so the chances are most publishers will be retaining that relationship if they move over to AMP HTML. 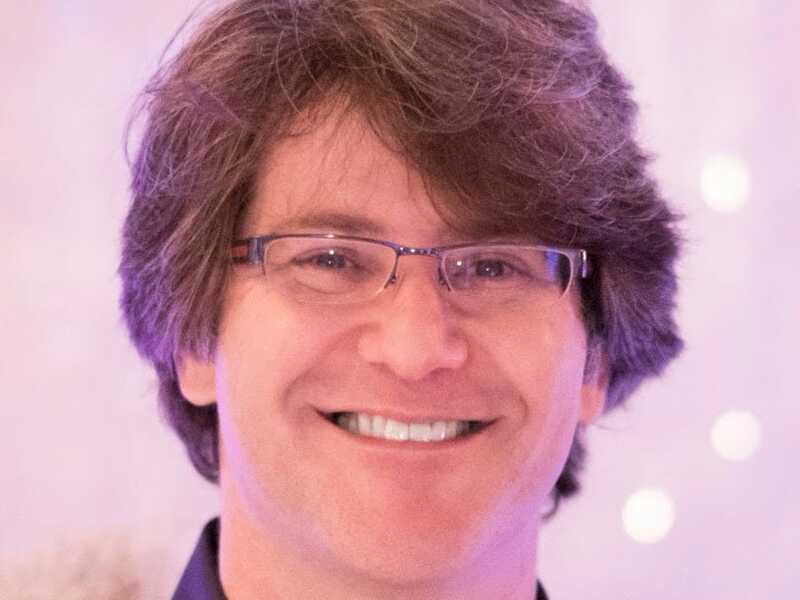 GoogleBusiness Insider asked Google's Besbris at the AMP launch event what's in it for Google. He responded: "Believe it or not, we see a lot of links at Google. We use the web all over our products. We use it in everything from Google News, to Search — Google lives on the web and we really want the web to work great for our users. Our mission from the very beginning is to focus on the user, it's one of our founding principles. Frankly, on the mobile phone today, the web isn't performing like the rest of the internet. We love the web, the openness of the ecosystem has allowed all sorts of companies to grow, and publications to come online, and knowledge interchanges at a pace that was never happening before. It really is a powerful force for good, but it has to live up to the performance expectations users have today. There's nothing inherently broken about the web today from a technology perspective, but it's really hard to make content work really well. So we thought we could throw a bit of energy behind the technical challenges because we have a lot of people to really make it work well, because we value it." He said: "The key thing for us is that Google has partnered with a high number of news publishers [including Business Insider.] Almost all our customers are major media companies and news organizations. A big requirement that comes from these publishers [when moving to new platforms] is that they do not sacrifice their first party audience and analytics data. But built in as standard to AMP is what is known as an AMP pixel standard so that tracking [from third parties] can be redirected with no impact on performance and user experience. At Parse.ly we want to provide the best real-time and historical analytics, and we don't have a strong opinion on which platforms should host our publishers' content." In a statement provided by Google, Hearst chief technology officer Phil Wiser, said: "Speed is a key part of delivering great mobile experiences for Hearst's premium content — this initiative is a way to improve the mobile experience for users while allowing publishers the flexibility to design the experience and the product in a way that supports its business requirements for data, analytics and monetization."